Detroit Will Get A RoboCop Statue After All! What started out as a joke has become a full-fledged movement. Six days ago, a jokester suggested to Detroit Mayor Dave Bing that he erect a statue of RoboCop. Bing politely rejected the idea, but the Internet grabbed it like a rabid dog. Thanks to the hard work of Jerry Paffendorf, the RoboCop statue will be erected in Detroit, Michigan. After $55,000 dollars were raised by the website Detroit Needs RoboCop, the statue will go forward. The more that gets donated to the project, the more awesome RoboCop is going to be, with the deadline for the project ending on March 29. All donations to the Detroit Needs RoboCop fund will go towards the building of the statue. Paffendorf, a Detroit-area artist, is working with the city to get the Robocop statue put up in a public place. If that fails, he’ll erect the statue of Detroit’s most famous son at his outdoor art project, Imagination Station, near the abandoned Michigan Central Station. It is remarkable, and remarkably awesome. 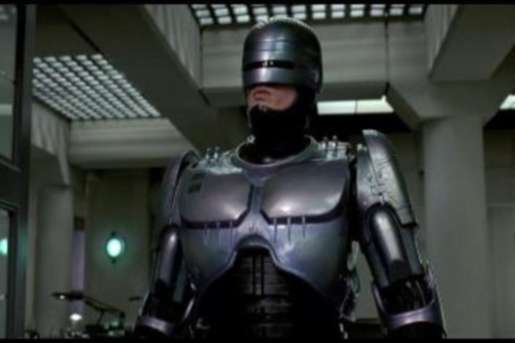 RoboCop needs to be real, because RoboCop situations happen every day. So long as Robo is on the streets of Detroit, where he belongs, it doesn’t matter where he goes.